Tell me a bit about yourself, your background and where you are from. My name is Lera and I am a Russian from Lithuania. I moved to London when I was 18, immediately after finishing school, with the intention to do an Economics degree at university. I had no idea what I wanted to do, what my passion was, what my talents were, so I just took a straightforward route. I was really good at Maths, and everyone seemed to think that Finance is perfect for me, so I went to university and studied just that – Economics and Finance. After I received my Bachelors degree, I worked in a Fund Management company for about 7 years. Although it was fun, and I loved my bosses and colleagues, I didn’t particularly like working in an office environment at that time. So I decided to search for myself, what I could do instead. I went travelling (studied japanese dance, Butoh, in India and circus skills in Beijing) and then I got into tea. How it happened is a very long story, but when it happened I knew straight away – tea is my way, my path. It resonated with me straight away, and there were a series of synchronicities and events that pointed to that too. It was about 3-4 years ago, and I am still as passionate about tea and in love with it as I was then. Tell me more about T-lovers and how the idea for it came about. T-Lovers is a name that combines my love and passion of all things that start with T – tea, travel and transformation. Transformation that happens through tea, through travel, through living our life mindfully, being present in each and every experience. Why do you think knowledge of tea, tea meditations and tea ceremonies are not commonplace in today’s society? Our society is very fast paced. Nobody wants to wait anymore, everything has to be served quickly, whether it’s coffee, food, or information. A lot of people are now Twitter people, as I call them – they don’t read a post if its more than several lines long. We consume things and we consume them fast. Tea is a drink that requires time, patience and love. We cannot drink it in one gulp or on the go. Big city people, that are always on the run, need something faster and are more into coffee, because coffee does not usually require waiting. But it’s changing now! I feel that tea is on the rise and what it gives people is very much needed in this impatient society! 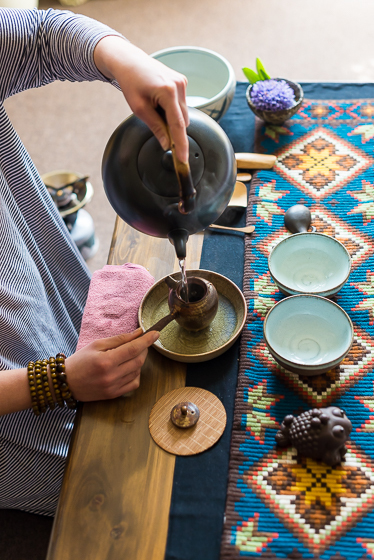 There is an amazing tea community, Global Tea Hut, that is growing and promoting all knowledge about tea, its ceremonial side – Zen and also creates an amazing vision of tea, environment and community , so you really want to be part of it! I can see much more interest in tea recently, for sure! It’s so difficult to choose my favourite tea, because I love them all, depending on the time of the day, season and my state of being. Every tea has its place in my heart. But I generally tend to prefer Japanese, Chinese, Taiwanese teas over Indian, Sri Lankan and East African ones. I really LOVE Japanese teas from Chikitea company – their matcha and kabuschas are divine, and really make the heart open, and inspiration flowing! Teas from China and Taiwan, especially through Global Tea Hut community and their suppliers are amazing too! How did you get to where you are today and what was your career path? I didn’t have any career path in the beginning. In fact, when I came to the realisation that my Path is tea, I had no idea how to walk this path, where to start, and how to progress. I started reading about tea a lot, went to China for 1 month and visited tea farms, traveled, learned about tea, but I had no idea how to make money from that. Then I saw that my friend is offering photography walks in Paris through one of the Russian tourist platforms. Straight away I had the idea of offering the same in London, but just with tea. That’s how the idea of Walking Tea Tours in London was born. It was more difficult than I thought, as I had to create the whole route myself, read books on tea and tea history, devise the material and understand when to talk about serious facts and topics, when to joke, when to tell a story from my life that related to tea. I also had to overcome my fear of public speaking, which was enormous at that time! And if someone told me that at some point in the future I will get so much pleasure from talking before big groups of people, I would never have believed them! It took me a lot of time to polish the tours and walks to the level that I was satisfied with, and then I started meeting people, and ideas started flowing in. 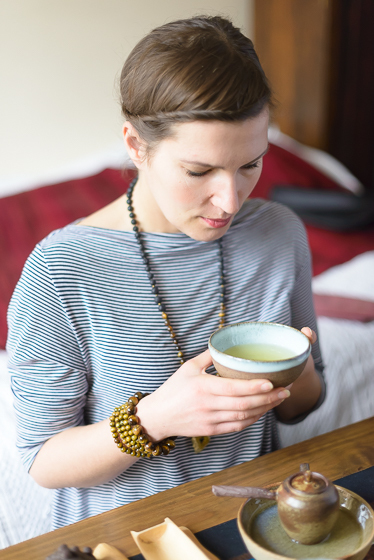 With my love for meditation and spiritual growth, I fell in Love with what Global Tea Hut community is doing, subscribed to their service (magazine and tea) and after a year or so started performing Tea Meditations myself. It is all slowly coming together. The further you go, the more visions and ideas you have, and they only come with you moving, in the process. We seem to think along these lines usually: first I have a concrete idea, plan etc, and then I start moving. But the way it works is actually the opposite: first, you start moving, making steps, and then the plan, the goals, the vision reveal themselves. At least this is how it was for me. What has been your biggest challenge with your business thus far and how did you overcome it? Probably promotion, for people to get to know me, generation of interest. But I really feel that it is slow and organic. 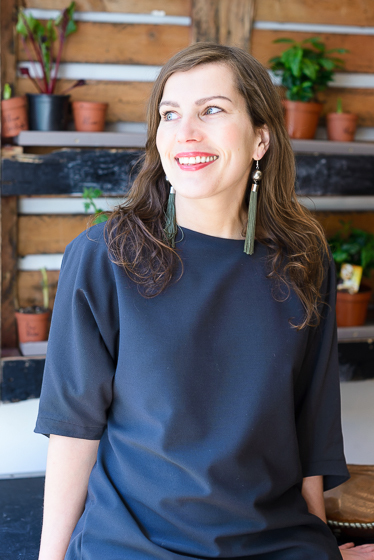 I could have done more, promoted more, but I am single mum too, so I am doing everything according to the pace that is comfortable for me, being both a mum and building my business. Tea. Spirituality. The idea of awakening. People I meet. My dream is to have a big house on some island in the Mediterranean, at the sea. I would live on the first floor, and the ground floor would be a tea house and a retreat centre for yoga, different practices and tea of course. Close to nature, the sea and a lot of sunshine! Any advice for those wanting to leave their 9-5 job and pursue a dream? I would recommend to start carefully while you are still doing your job – to avoid stress. However, for some people it works the opposite way – if they have some security net, they don’t give their 100% to what they do, feeling too safe. Sometimes it’s better for some people to cut all ends, and simply leave themselves no choice but do what they do and give all that they have to their dream. We need to decide what would work best for us. And as I said before, even if there is no plan and no goal and no vision, it’s okay! Business is created step by step, one little step at a time. If we have at least some feeling of direction, we can take one step in that direction. A global vision is advisable, just to have an idea where we are heading, but it can and will change during the course of our journey. What usually happens is that the further we go, the more understanding and clarity we have as to where we are going and how we are going to achieve that. A good analogy is with the mountain. When we stand at the bottom of the mountain we have one vision of our surroundings. The higher we climb, the more different our perspective and vision will be. It will change with each height, and it will be completely different when we reach the top. The same with goals and ambition – when we are at the beginning of our journey, we cannot see what the perspectives are, until we move and do some climbing first. Then people, contacts, ideas will come. But we need to make the steps first! Having moved from Cape Town, South Africa to London and subsequently changing career from computer science to photography, Nuraan understands what it takes to change career paths and brave the odds. 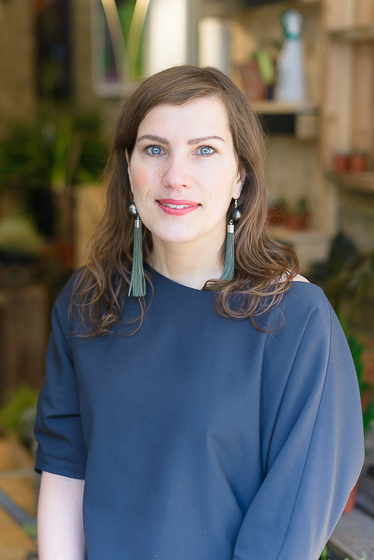 She continues this journey to find inspiring female entrepreneurs in London and documenting them here, in the hopes of inspiring women to follow their dreams.